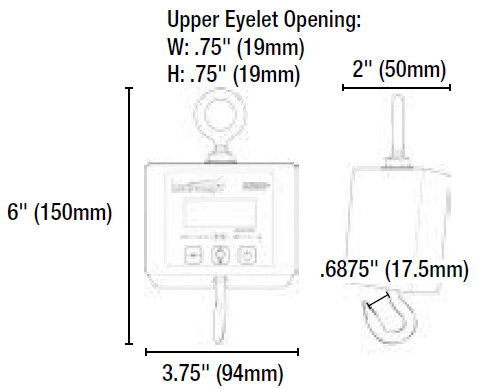 High accuracy, compact digital hanging scale for low capacity applications. Tremendously compact (weighs only 1.6 lb) and accurate (+/- 0.1% of applied load) for ranges from 25 to 500 lb/12.5 to 250 kg. The unit operates for up to one year on a single standard 9-volt alkaline battery. Supported by a full one-year parts and labor warranty. Perfect for tight budgets.